To continue, please click on the red customize your item tab below. You have selected 500 quantity for this product. 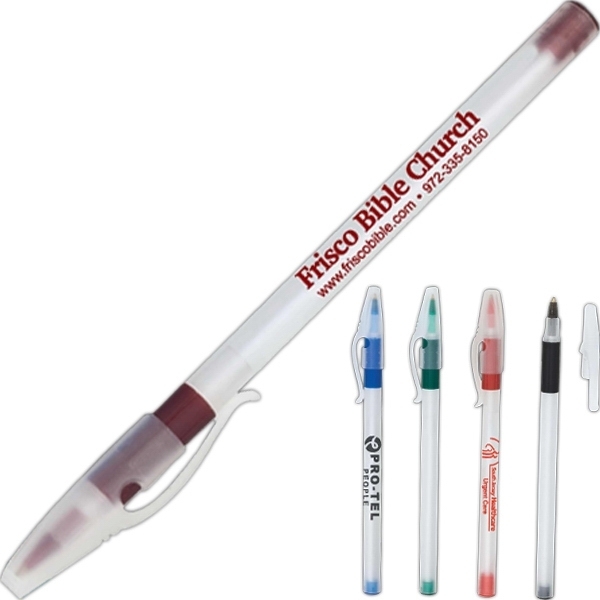 Stick pen with assortment of colored rubber grips and frosted clear barrel and cap. 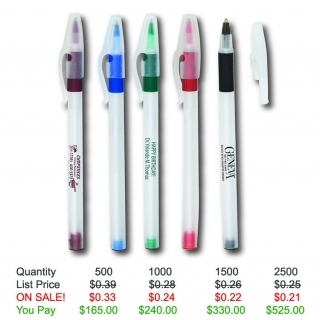 One of the most effective promotional items that businesses can invest in is personalized pens. We offer Free Setup, Free Proofs & free shipping Medium point with black ink. 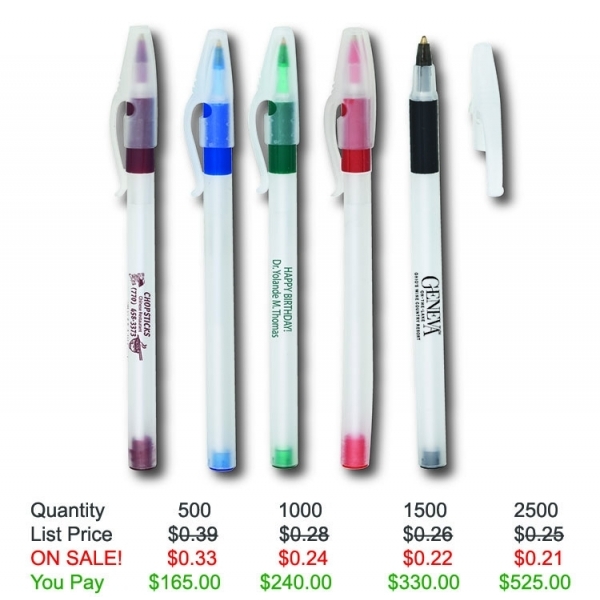 Product Features: Assortment of colored rubber grips and frosted clear barrel and cap. Item Color: Frosted Clear barrel with Burgundy, Blue, Green, Red and Black rubber grip and accents. Rush Service: 1 - 3 working days. FREE! Thanks for your help with these pens, my crew loves them and they have been handing them out left and right, so we will be ordering again soon when they come close to running out! Great customer service with a smile! See you soon!